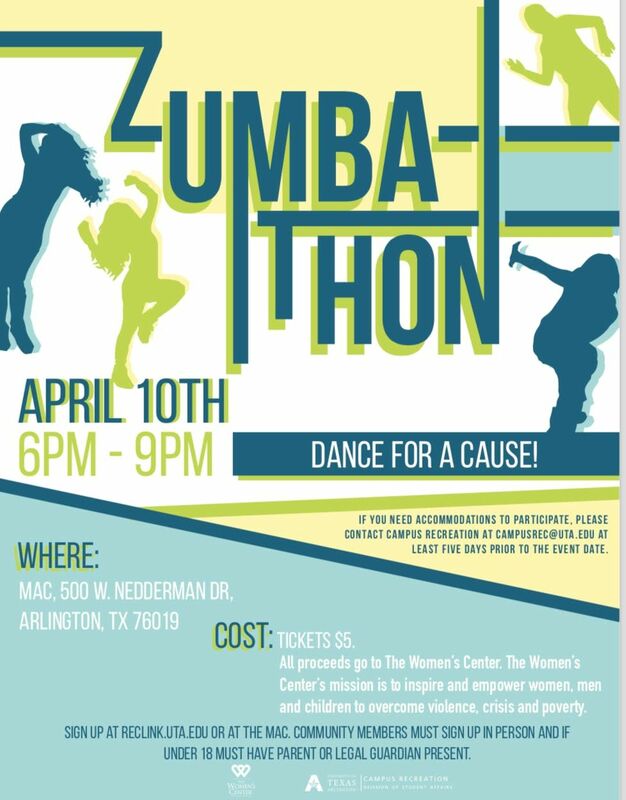 Come and Dance for a Cause and make a positive impact to benefit The Women’s Center. 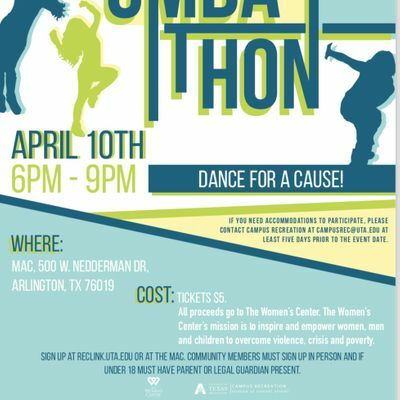 The Annual Zumbathon is hosted by Campus Recreation and The Relationship Violence and Sexual Assault Prevention Program. (Come & Go) Stay the whole time or come for the time you are available! You will be powered by the energy and passion of our Zumba and Fitness instructors. We will have drawings for cool prizes!